At a meeting held with the representatives of International Bamboo and Rattan Organisation (INBAR) here, the Minister emphasised the thrust given by the government to develop the bamboo sector to address various issues such as livelihood, climate change mitigation and land degradation, an official statement said. Union Environment Minister Harsh Vardhan said India has the potential to become a "significant" player in international bamboo export. 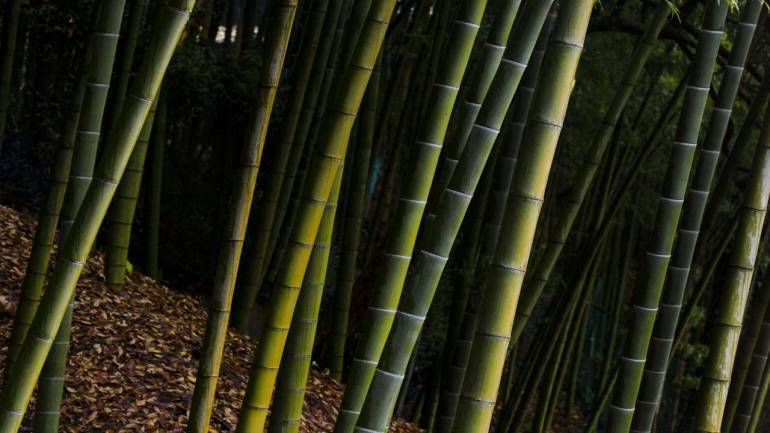 Projecting India as a nation with vast resources of bamboo, the environment minister said India has the potential to become a significant player in international bamboo export. The minister also referred to the initiative of the government of promulgating the Indian Forest (Amendment) Ordinance, 2017 to exempt bamboo grown in non-forest areas from definition of tree, thereby dispensing with the requirement of felling or transit permit for its economic use. Harsh Vardhan also pointed out that capacity-building and training programmes will be organised for artisans for making special items from bamboo. "A lot of value addition products can be worked out for the upliftment of artisans and farmers,” the minister told the INBAR representatives. "We believe in the concept of whole world as one family," he said while asserting that natural resources such as bamboo belong to the entire world. He emphasised that India has leading research and training institutes and the country can become the research and training hub for bamboo and rattan in South Asia. The minister said for value addition, joint initiatives will need to be taken between his ministry and INBAR. India's participation at the upcoming Global Bamboo and Rattan Congress (BARC 2018) in Beijing from June 25 to 27 was also discussed at the meeting. DG INBAR Hans Fredrick requested that India must lead and also send a large delegation to attend the Congress.